Married people who fight nastily are more likely to suffer from leaky guts—a problem that unleashes bacteria into the blood and can drive up disease-causing inflammation, new research suggests. It's the first study to illuminate this particular pathway between bad marriages and poor health, said lead author Janice Kiecolt-Glaser, director of the Institute for Behavioral Medicine Research at The Ohio State University Wexner Medical Center. The study appears in the journal Psychoneuroendocrinology. "We think that this everyday marital distress—at least for some people—is causing changes in the gut that lead to inflammation and, potentially, illness," she said. The researchers left the couples alone for these discussions, videotaped the 20-minute interactions and later watched how the couples fought. They categorized their verbal and non-verbal fighting behaviors, with special interest in hostility—things such as dramatic eye rolls or criticism of one's partner. "Hostility is a hallmark of bad marriages—the kind that lead to adverse physiological changes," said Kiecolt-Glaser, a professor of psychiatry. Men and women who demonstrated more hostile behaviors during the observed discussions had higher levels of one biomarker for leaky gut—LPS-binding protein—than their mellower peers. Evidence of leaky gut was even greater in study participants who had particularly hostile interactions with their spouse and a history of depression or another mood disorder. "Marital stress is a particularly potent stress, because your partner is typically your primary support and in a troubled marriage your partner becomes your major source of stress," Kiecolt-Glaser said. Furthermore, hostile behaviors' effect on potentially problematic biomarker activity in the bloodstream was more significant for those participants who had a history of depression. "Depression and a poor marriage—that really made things worse," Kiecolt-Glaser said. "This may reflect persistent psychological and physiological vulnerabilities among people who have suffered from depression and other mood disorders." 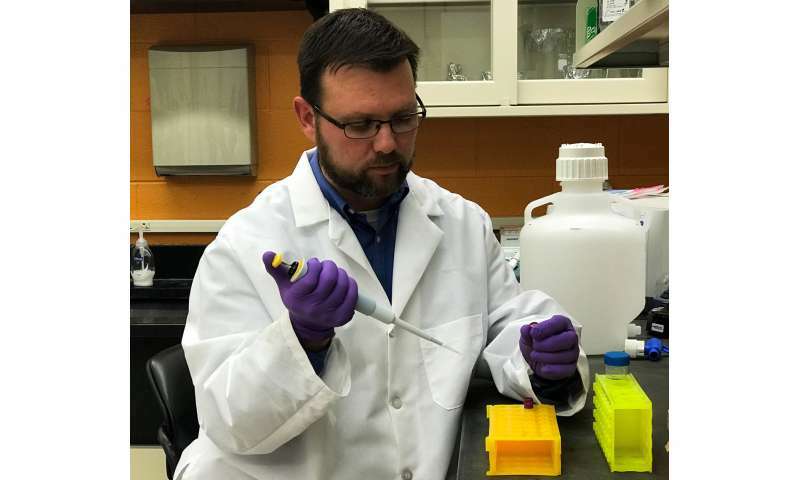 Michael Bailey, co-author of the study and part of Ohio State's Institute for Behavioral Medicine Research and The Research Institute at Nationwide Children's Hospital, said there is an established link between stress, the sympathetic nervous system and changes in the microbes in the gut. "With leaky gut, the structures that are usually really good at keeping the gunk in our gut—the partially digested food, bacteria and other products—degrade and that barrier becomes less effective," he said. And bacteria in the blood driving up inflammation could potentially contribute to poor mental health—creating a troubling loop, Bailey said. Lifestyle changes could also include reducing or eliminating caffeine and going easy on the dark chocolate. And what worth would living have without a cuppa joe?